Madeline stared at the sleek white sailboat docked at slip 67. 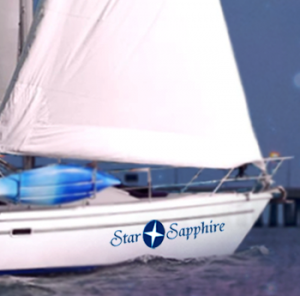 Near the bow and at the stern, the words “Star Sapphire” surrounded a blue oval with a brilliant white starburst in the middle of it. The bright white of the deck of the ship nearly blinded her in the radiant November sunlight. A dark blue canopy stretched over the bridge of the boat, and the line of sleek portholes rising up out of the center of the deck gave evidence to the living area below deck. She could see the sails stored and ready among perfectly coiled ropes. She knew she’d found the right boat. His bike sat next to a small grill on the dock. Both were chained to the dock railing. What confused her – and had caused her to walk the length of the dock and back once already – was that this was not a Westcott boat. It was an Elohim. Why would a Wescott Marine Wescott live on an Elohim vessel? It did not compute. She frowned, trying to mull that through when she saw the craft shifting in the still water, as if someone moved around inside, and she heard footfalls on stairs. Her heart gave a little flutter. Maybe this wasn’t a good idea. She had a pretty strong backbone, and typically the opinions of others didn’t overtly affect her opinion of herself. However, an outright rejection from one Joe Westcott after the efforts she put into this little surprise might just be her undoing. When she saw his head through the porthole, she shifted the sunglasses off of her face and onto the top of her head. This entry was posted in 7. 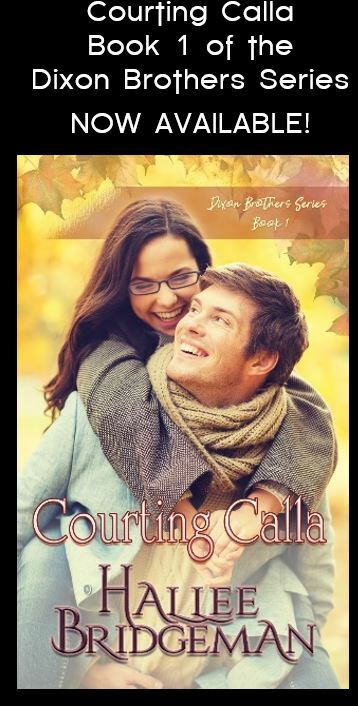 Christmas Star Sapphire, Blog, Box Sets, Snowflakes and Mistletoe and tagged christian fiction friday, christmas star sapphire, chritmas novella, second generation jewel series, snowflakes and mistletoe, the jewel series. Bookmark the permalink. Alice left the tearoom and walked down to the docks, glad to see Gypsy sitting with his back against a barrel. When he saw Alice approaching, he scrambled to his feet. Gypsy nodded. “Don’t ask me where we’ll get a crew, ma’am. I heard the same thing everywhere I went. A dozen ships are in the same predicament we are. Hands are hard to come by.” He stooped and picked up a string of fish. “Is she strong and healthy?” Alice asked. “Women? Sailing the brig?” Gypsy’s face was a thundercloud. I love the way you describe her nervousness here! The title above, Christmas Star Sapphire, is similar to my finished novel, Sapphire Secrets. 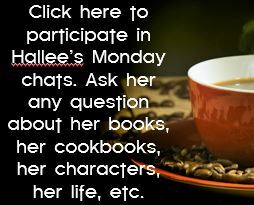 Here’s a segment from chapter 1. The protagonist, Livy, is leaving the cemetery where her mom is buried, accompanied by her dad and twin sister. They continued in silence to the wrought-iron gate. The groundskeeper removed a set of keys from his jacket pocket, clanging them as he unlocked the gate. After he gestured them through, he relocked the gate. A streetlight illuminated the wet pavement, the dense woods lining the opposite side, and their limo beneath an evergreen canopy. The rain had subsided, for now. Too bad he couldn’t climb into the limo and comfort them with his soothing presence. As she turned to follow Dad and DeeDee, he touched her shoulder. She jumped, then spun around. The warmth fled, leaving behind a wasteland as desolate as the graveyard. What did an ancient dead man have to do with truth? Frozen, she stared at the woods across the street, his words ringing in her head. Her heart thumped out a hollow rhythm. Had she truly thought his presence comforting? She needed to get away from this nut job. She forced her stiff legs forward and fled to the limo. “Seek the truth,” he called out behind her.